Like to laugh? Like to eat? Like to throw up your food while laughing? 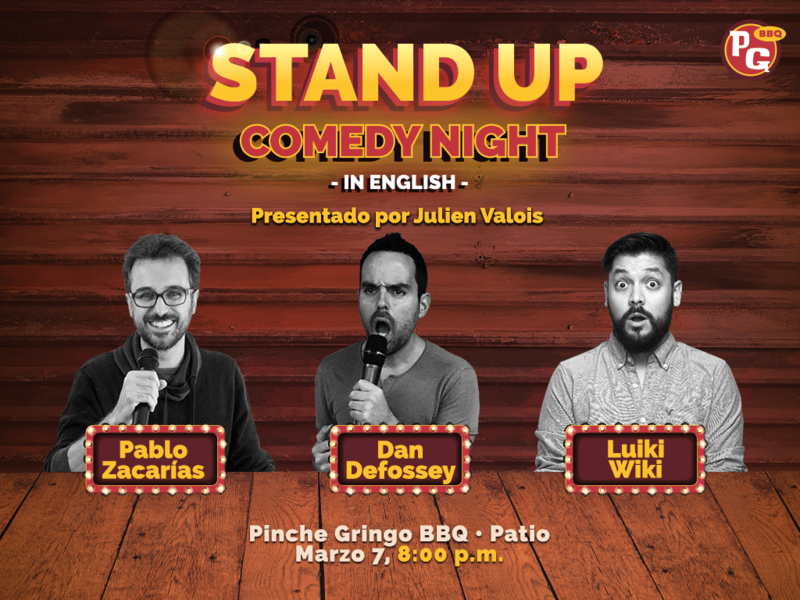 You don’t have to answer that last question, but if you do like laughter therapy, and you do like artesanal meat and beers then come on down and join us for the best English Standup Comedy in Mexico City! On Thursday March 7th, come and experience a rambunctious edition of Standup Comedy Night in English!! We have an outstanding lineup, including Pablo Zacarias, Dan Defossey and Luiki Wiki, hosted by Julien Valois. Of course we will be serving our delicious BBQ food and pouring excellent craft beers to help you celebrate your newly acquired celibacy! $190 per ticket upon purchase at the door. 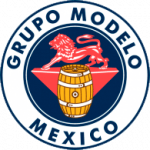 The show will take place at Patio – Narvarte. Doors open at 8:00 PM for dinner and drinks. Show starts at 9:00 PM. Kitchen service ends at 10:15PM. Reserve your seats today! Space is limited. Please pay online or pay in person at the restaurant. You can take a chance to walk in on the night of but we may be sold out. Hello! I am a comedienne in California and will be in Mexico City! Do you have a guest spot that I can fill? No pay needed, I would just love to perform! I speak both English and Spanish. Soy pocha, so maybe I can do it in Spanish or both haha!